Aaron Mendelsohn is the Chief Data Privacy Officer at Ingram Micro, Inc., the largest global distributor and reseller of technology products. At Ingram Micro Aaron has responsibility for ensuring the personal data of employees, customers, resellers, and vendors is protected and processed in compliance with global data protection laws. 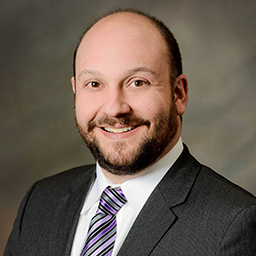 Prior to joining Ingram Micro Aaron was in private legal practice with Benesch, Friedlander, Coplan & Aronoff LLP in Cleveland, Ohio, where he focused on matters related to data security and privacy compliance, as well as general technology and intellectual property issues. Aaron spent the first 11 years of his career at Eaton Corporation, where he held various roles of increasing responsibility in information security and compliance, the last three of which were spent creating and managing Eaton’s global privacy program. Additionally, Aaron is adjunct faculty at Cleveland-Marshall College of Law, teaching a course on Privacy Law & Management.